If a 1950s housewife were to walk into a kitchen today, sheâ€™d feel right at home. Many of the brands (GE, Whirlpool), the appliances (KitchenAid, etc. ), and the behaviors are exactly the same. But look around the rest of your home. Things that were commoditized are being branded; things that were manual are becoming mechanized; and things that were hassles are now convenient. But while the food-technology industry is exploding, itâ€™s largely happening out of the kitchen. Companies like Blue Apron, Hello Fresh and Plated are disrupting the grocery business by making cooking more convenient. Others, such as SpoonRocket and Sprig, are Hipster-ified versions of Dominos. But now theyâ€™re cool. And they let you order food without having to mumble through your order on the phone. They even have cars circling the block on a regular basis, so drivers donâ€™t have to risk their lives to make it to your home in under 30 minutes. At the end of the day, these companies are improving existing services, but weâ€™re not talking about revolutionary products or services, although Blue Apronâ€™s most recent investors might beg to differ. Companies like Nomiku, Anova and Mellow have noticed and are looking to fill the gap with distinct brands and awesome founders (look up Lisa Fetterman if you donâ€™t know her yet). Theyâ€™ve each built great devices to help you cook things like the absolute best cut of steak imaginable or perfectly poached eggs. Theyâ€™ve opened up a world of foods and meals that were previously just left to Michelin-starred chefs. But weâ€™re still not there. The last time someone made a â€œquantum leapâ€� in the home kitchen was with the microwave and that was 70 years ago. Harry Truman was our president, the NBA didnâ€™t exist and the word â€œsmartâ€� was used to describe people, not things. People are becoming increasingly comfortable with home devices that are connected in more ways than one. Companies are taking advantage of this by building entire brands around once-stale and boring things, like thermostats. Look around your kitchen, though. What brand is your microwave? Your oven? Your fridge? If you actually know, consider yourself in the extreme minority. With all of these trends coming together, weâ€™re on our way to a fully-connected and automated kitchen, with new brands that will one day be as cool as Nike and Apple. 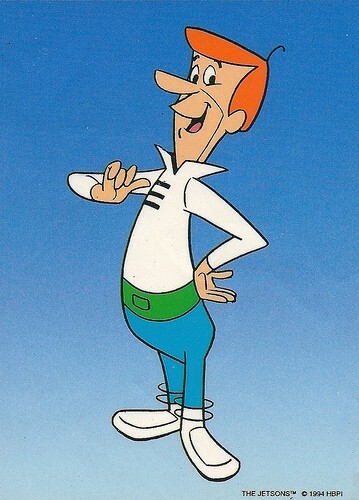 The world, and the kitchen, of George Jetson are closer than we think.